Today I release another episode in my Fertility Awareness Reality Series! I interview my client Anna. 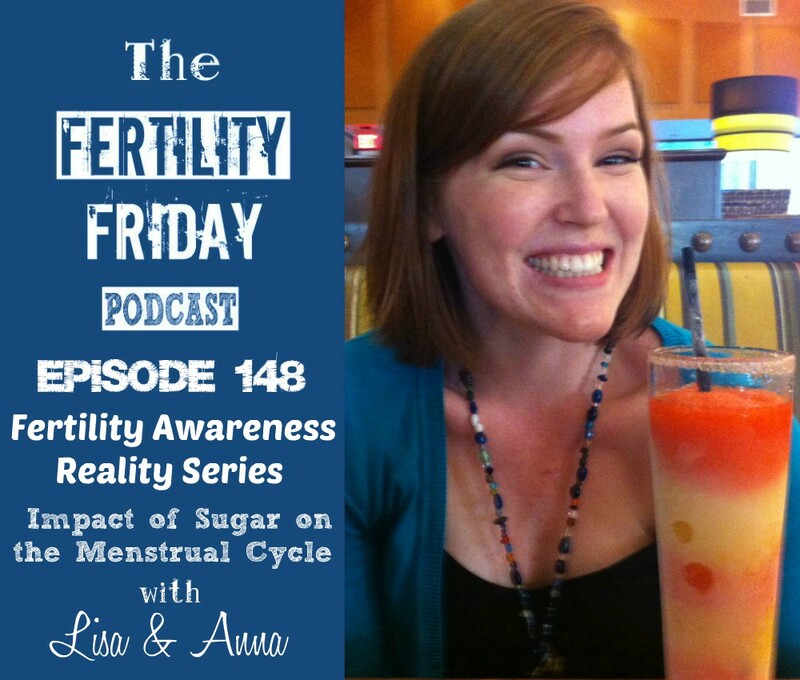 Anna was a member of my most recent group program, and in our episode together we delve into the relationship between diet and her menstrual cycle. I can’t wait to listen to this one! I try to avoid sugar because I know that it causes inflammation. When I eat a lot of sugar I notice that I get a lot of ‘non-peak’ mucus days when they should be ‘dry’. I also notice that if I’m eating a lot of sugar leading up to my period, I usually get cramps, whereas when my sugar is in check, I don’t. Eating too much sugar also causes yeast problems for me as well… it’s pretty profound how large an impact eating too much sugar can have! This of course is just me observing what I’m eating and how it impacts my charts, there could be other variables affecting these things.